Another day, another Dante's Inferno promo, and this one is both cool and creepy: Hidden in the source code of several popular websites are demonic images, a link to a Hellish gateway and a series of passwords to get you inside. The Dante's Inferno promotional campaign has had its share of ups and downs ("acts of lust," anyone?) but this latest effort is absolutely sublime: Someone - my money's on Lucifer - has been making additions to the source code of some of the most popular sites on the internet, adding twisted ASCII art, passwords and a link: hellisnigh.com. Ars Technica says the first image was discovered at Digg.com and was quickly acknowledged by publisher Chas Edwards. 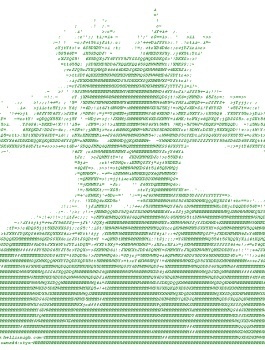 "Since Digg's early days, ASCII art has been ingrained in our site's culture," he said. "We're thrilled with the opportunity presented by our partnership with Electronic Arts and the Dante's Inferno team - incorporating ASCII art into advertising on Digg, while providing the 40 million users in the Digg Community first access to the promotion code." Other sites that have discovered this mysterious infernal infestation include GameSpot, IGN, GamesRadar, Kotaku, Dailymotion and WWE.com. Are there more? It's possible: GameSpot and Kotaku share the same password, suggesting that other duplicates might be floating around, but it doesn't really matter for anyone who just wants to solve the mystery. Six passwords are required for admission and all of them are available on those sites. A hidden publicity campaign might seem a bit odd at first blush, but like the other Dante's Inferno efforts, it's doing what it's meant to do: People are talking about it. The nature of the net kept the images from being hidden for long, while the nature of its users ensured that the word would spread quickly. EA played it smart, too, by making sure that the reward is worth the effort. And what sort of reward will you get for all your trouble? I don't want to spoil the surprise but the site eventually leads to a downloadable package that includes music, images and more. It's pretty damn cool and well worth the hassle of tracking down the passwords. And track them down you will if you want to discover the secret, because along with not spoiling the surprise, I don't want to spoil the fun either: I had to find these things on my own (well, with a little help) and so do you. You know where to look, so start looking!